Metals are unique for various reasons. To be sure, the fact that metals come from the earth and that metals like steel, iron, and aluminum (amongst others) can be manipulated for building and manufacturing purposes, offering strength and durability, is pretty amazing. 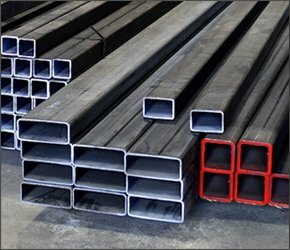 Another unique characteristic of metals is the fact that metals can be recycled nearly indefinitely. Once a metal is extracted from the earth and enters the consumer stream, it can be recycled and reused time and time again, usually without compromising the integrity of the metal. At Belson Steel Center Scrap Inc., our Chicago metal recycling company is passionate about scrap collection and recycling and wants to be your business’ go-to metal recycler in the Chicago area, as well as throughout the states of Illinois and Indiana. Reach out to us today to learn more about our scrap recycling services. Chicago Metal Recycling – Why Do It? Metals are extremely valuable materials, and, rather than having them become part of the waste stream after they have been used, our team is passionate about reusing and recycling metals. 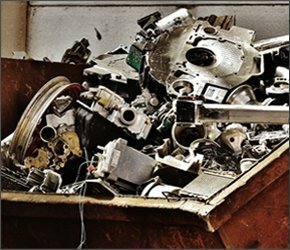 When metals are recycled rather than tossed, there’s both an environmental benefit and a financial incentive. When metals are recycled, energy is saved and natural resources are conserved. In addition, jobs are created, the economy is stimulated, and the business that sells the scrap metal benefits by getting cash for their scrap. 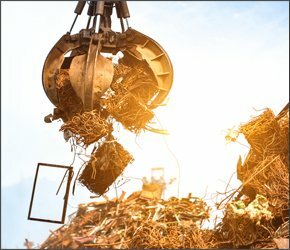 Because recycled metal is also less expensive than newly-mined metals, businesses can also save on their production costs by choosing metal recycling. 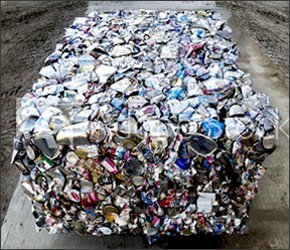 Every year, millions of tons of metal are recycled across the nation, and for good reason. When a single ton of steel is recycled, 2,500 pounds of iron ore, 1,400 pounds of coal, and 120 pounds of limestone are conserved, according to the American Iron and Steel Institute. Demolition services – If you have a demolition project, whether it is large or small, our team can help. Not only will we safely demolish or deconstruction the edifice or equipment, but we will also responsibly recycle all scrap metal that is extracted. Onsite container services – For businesses that don’t have the time or the resources to bring scrap metal to our location, we are pleased to be able to offer scrap collection container rentals for onsite collection. When your container is full, just call our team and we will pick it up and transport it to our location for processing. Scrapyard drop-off – We also maintain scrapyards throughout Illinois and Indiana where you can sell all of your ferrous and nonferrous materials. Get in touch with us to learn more about the materials that we buy. To learn more about the benefits of metal recycling and how we can meet all of your business’ metal recycling needs, please call our offices today. You can also learn more by visiting our website, or by using the contact form found online to contact us directly. We look forward to working with you.